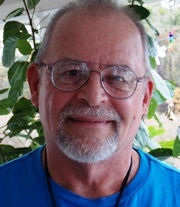 Will has been a people helper for over 30 years in personal growth work, addictions, families and trauma healing as well as pursuing many energy healing and other modalities. It has been his mission to hold sacred space for people to step into their truth and lift their path to higher vibrations. Will has been a Seraphim Blueprint Practitioner since 2015 and became a Seraphim Blueprint teacher in 2017. He offers workshops in person, on Skype, in webinars and in phone sessions.